Don’t lose your mind: Meditate and listen to music! It’s normal to be forgetful sometimes or have a bit of brain fog. You may have heard people refer to this as having a “senior moment.” However, in older adults, these “senior moments” may be a sign of something more threatening than just the expected memory loss that comes with older age. It could be subjective cognitive decline (SCD). Subjective cognitive decline (SCD), also called subjective cognitive impairment (SCI), essentially means the loss of cognitive functions such as memory, attaining knowledge, reasoning and using language. SCD is potentially the earliest clinical sign of Alzheimer’s. According to the Alzheimer’s Association, Alzheimer’s is the most common type of dementia and accounts for 60 to 80 percent of dementia cases. The good news is you can do something to help prevent this, and in this case, preventative care involves two pleasurable activities; meditation and music. In a recent study led by Dr. Kim Innes, the power of meditation and music is visible in the fight against adults suffering from early memory loss. Innes and her team examined 60 adults with SCD. The participants were instructed to either practice Kirtan Kriya meditation (a simple singing meditation exercise) or listen to music. The participants only had to practice meditation or listen to music for only 12 minutes a day! After only 3 months, participants showed improvement in subjective memory function and other cognitive actions. Participants also showed improvements in sleep, mood, stress, overall well-being and quality of life. 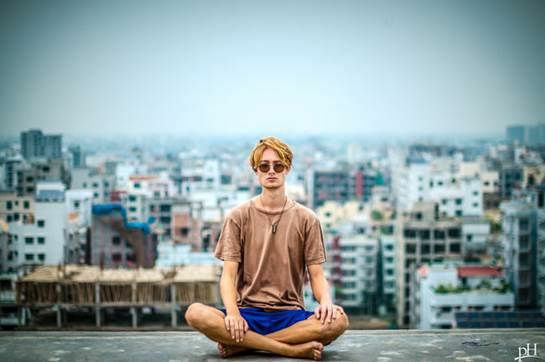 Most people enjoy listening to music, but some people may find taking the time to meditate as a nuisance or taking time away from their day to be productive. Remember, it only takes a few minutes out of your day, and over time it becomes more relaxing and enjoyable. Furthermore, some research suggests meditation physically changes the structure of the brain for the better. Regular mediation may cause the brain’s cerebral cortex to thicken, because meditating increases the size of blood vessels and blood flow in this area of the brain. This is all beneficial for memory and learning functions. Alzheimer’s is a devastating disease, and while there is no known cause or cure for the disease, there are simple preventative care steps we can take if we just take the time.